A peer-reviewed study of actual measured Fukushima radiation releases disputes many media and junk science reports,putting Xenon at 2.5 times Chernobyl. A peer-reviewed scientific study has reveals that the Fukushima nuclear power has released far more radiation than TEPCO and Japan even admit are on site at Fukushima. 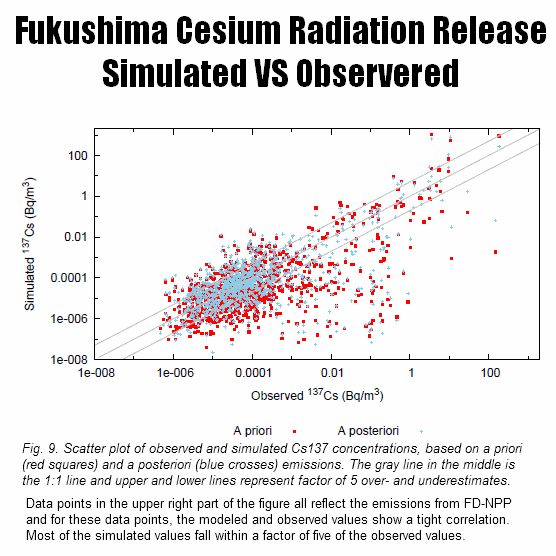 TEPCO’s estimates of the radioactive releases from Fukushima using “simulations” were many times off from actual observed levels of radioactivity released plant. 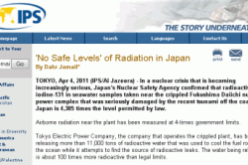 “The entire noble gas inventory of reactor units 1–3 was set free into the atmosphere between 11 and 15 March 2011…” which was covered up by TEPCO, Japan, and the US. To this day they still dispute “complete” meltdowns at some of the reactors. The Total cesium they could measured was “about 42 % of the estimated Chernobyl emission…” which clearly shows repeated “estimates” of cesium being 1/8th or less are entirely inaccurate. 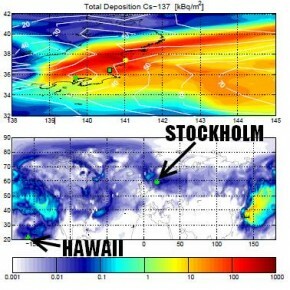 “The first radioactive cloud reached western North America on 15 March”, “that all of western North America was engulfed by the Fukushima plume, as well as parts of eastern North America” and by “22 March 2011, the plume had covered the entire Northern Hemisphere”. From the Study Winston Smith comments on Forbes: Should We Hide Low-Dose Radiation Exposures From The Public? On 28 Oct 2011, the Atmospheric Chemistry and Physics Discussions (ACPD) group released a paper titled “Radionuclide release from Fukushima Nuclear Power Plant”. 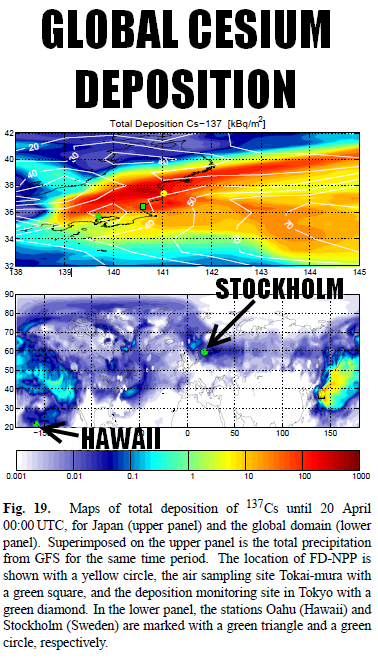 This paper details the release of two isotopes, Xenon-133 and Caesium-137 into the atmosphere following the earthquake/tsunami on 11 March 2011. 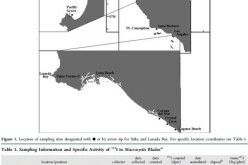 Differing from previous maps and projections based upon hypothesis of wind direction and atmospheric conditions, this study looks BACK and can definitively determine the amount of release. The results are extremely disturbing, not just for Japan, but for Hawaii, Alaska, Canada, the U.S. and really, the entire world. Especially disconcerting is the fact that the largest amount of radiation reached the United States within 1 week of the accident. Do you remember anything about that being told to you by the main-stream press or Government? And what about the decisions, early on, not to monitor radiation levels in fish, vegetables, and meat in the U.S.? Note: This paper only determined the dispersal of Xenon-133 and Caesium-137. Other products (such as Iodine) have not been released by governments so they were not included…again…why? 6. 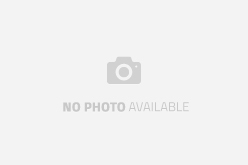 “…There is a larger common spent fuel pool at the site, on ground level. 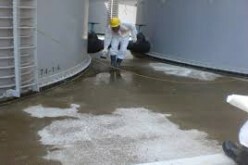 Spent fuel is transferred to this pool after at least 19 months, but the decay heat is large enough to still require active cooling. This pond contained 6375 fuel assemblies. 18. On 15 March 2011, a smaller cyclone over Japan developed rapidly and the radioactive plume from Fukushima was caught up in it. The plume covered large parts of central-eastern Honshu and crossed over Tokyo and other major population centers before it left Japan towards the northeast around 18:00 UTC on 15 March. 29. 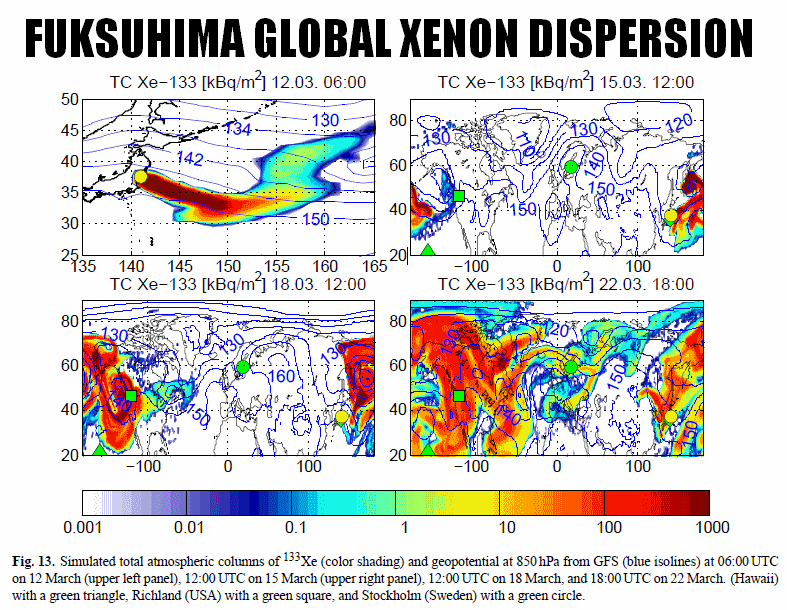 “…Regarding Xenon-133, it is very likely that the accumulated inventory of Reactor Units 1 thru 3 was completely set free into the atmosphere between 11 and 15 March. The study indicates a total release of 16.7 EBq, which is the largest release in history and 2.5 times higher than Chernobyl. Is anyone else curious why the Xenon-133 release from Fukushima is 250% higher than Chernobyl, yet the Cesium-137 release from Chernobyl is 250% higher than Fukushima? On 11 March 2011, an earthquake occurred about 130 km off the Pacific coast of Japan’s main island Honshu, followed by a large tsunami. The resulting loss of electric power at the Fukushima Dai-ichi nuclear power plant (FD-NPP) developed into a disaster causing massive release of radioactivity into the atmosphere. In this study, we determine the emissions of two isotopes, the noble gas xenon-133 (133Xe) and the aerosol-bound caesium-137 (137Cs), which have very different release characteristics as well as behavior in the atmosphere. To determine radionuclide emissions as a function of height and time until 20 April, we made a first guess of release rates based on fuel inventories and documented accident events at the site. This first guess was subsequently improved by inverse modeling, which combined the first guess with the results of an atmospheric transport model, FLEXPART, and measurement data from several dozen stations in Japan, North America and other regions. We used both atmospheric activity concentration measurements as well as, for 137Cs, measurements of bulk deposition. Regarding 133Xe, we find a total release of 16.7 (uncertainty range 13.4–20.0) EBq, which is the largest radioactive noble gas release in history not associated with nuclear bomb testing. There is strong evidence that the first strong 133Xe release started very early, possibly immediately after the earthquake and the emergency shutdown on 11 March at 06:00 UTC. The entire noble gas inventory of reactor units 1–3 was set free into the atmosphere between 11 and 15 March 2011. For 137Cs, the inversion results give a total emission of 35.8 (23.3–50.1) PBq, or about 42% of the estimated Chernobyl emission. Our results indicate that 137Cs emissions peaked on 14–15 March but were generally high from 12 until 19 March, when they suddenly dropped by orders of magnitude exactly when spraying of water on the spent-fuel pool of unit 4 started. This indicates that emissions were not only coming from the damaged reactor cores, but also from the spent-fuel pool of unit 4 and confirms that the spraying was an effective countermeasure. We also explore the main dispersion and deposition patterns of the radioactive cloud, both regionally for Japan as well as for the entire Northern Hemisphere. While at first sight it seemed fortunate that westerly winds prevailed most of the time during the accident, a different picture emerges from our detailed analysis. 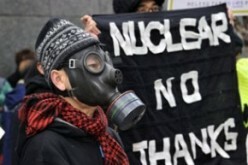 Exactly during and following the period of the strongest 137Cs emissions on 14 and 15 March as well as after another period with strong emissions on 19 March, the radioactive plume was advected over Eastern Honshu Island, where precipitation deposited a large fraction of 137Cs on land surfaces. The plume was also dispersed quickly over the entire Northern Hemisphere, first reaching North America on 15 March and Europe on 22 March. In general, simulated and observed concentrations of 133Xe and 137Cs both at Japanese as well as at remote sites were in good quantitative agreement with each other. Altogether, we estimate that 6.4 TBq of 137Cs, or 19% of the total fallout until 20 April, were deposited over Japanese land areas, while most of the rest fell over the North Pacific Ocean. 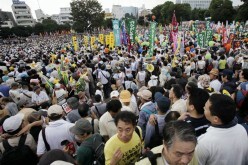 Only 0.7 TBq, or 2% of the total fallout were deposited on land areas other than Japan. 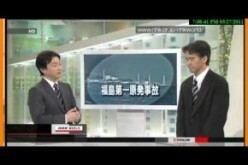 Tokyo Soil: Blanketed With Fukushima Radiation – Would Be Considered “Radioactive Waste” In U.S.